Music is an integral part of our life. It is the most relaxing diversion in our stressful life. Children of all ages love music classes. This activity starts right from the beginning, the class 5 and continues up to class 9. 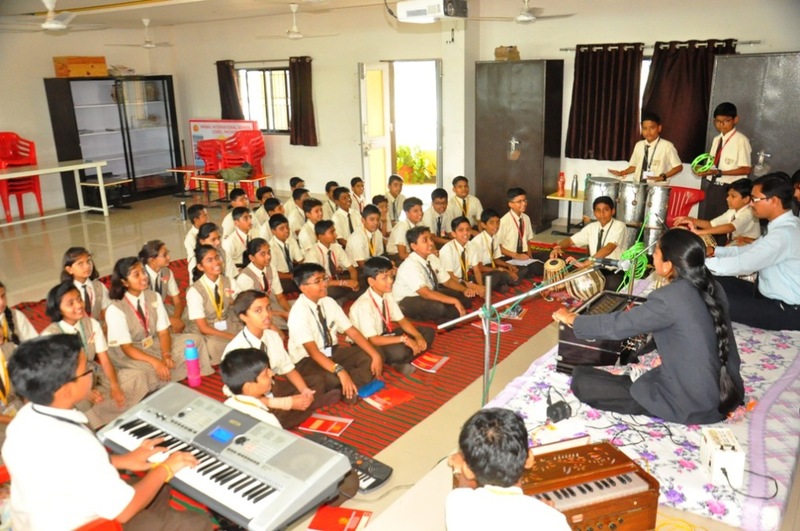 Nirmal School has a special Music Auditorium Hall. 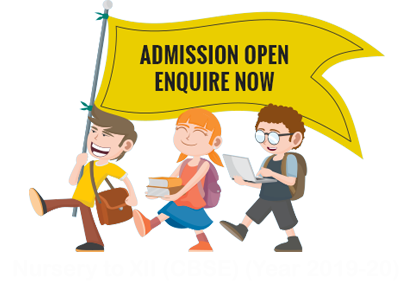 We are providing easy & comprehensive training to our students in both – vocal & instrumental music. Children are taught poems, songs in Marathi, Hindi and also English. Songs are also earmarked for special occasions like Independence Day, Republic Day, National and Social Festivals. Training in instrumental music starts from class 5. 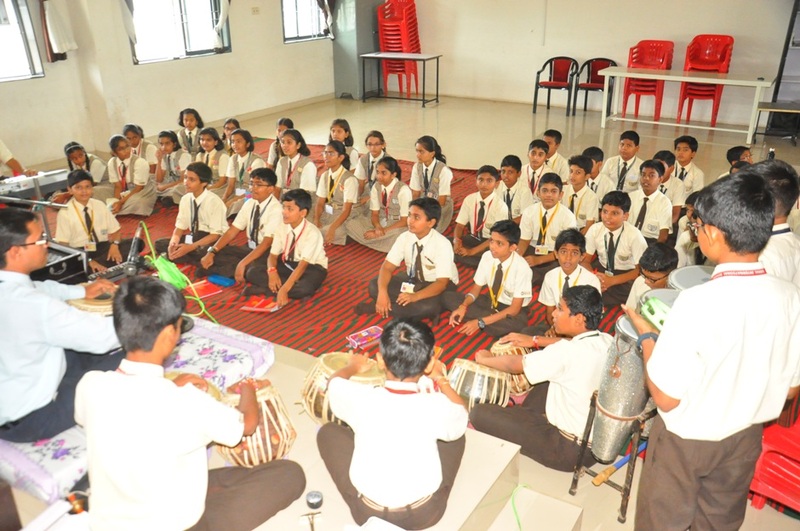 Students are trained in instruments according to their talent and ability. 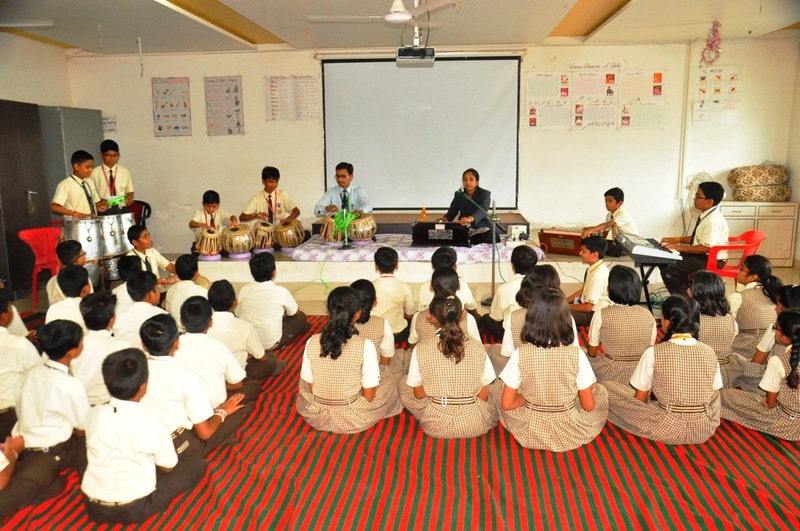 The school has instruments like harmonium, flute, tabla, keyboard & various drums. An orchestra/band is formed of students who play various instruments and they are taught both Indian and western musical pieces. The school has talented teachers who teach vocal and instrumental music. They also conduct individual/group singing competitions among students.